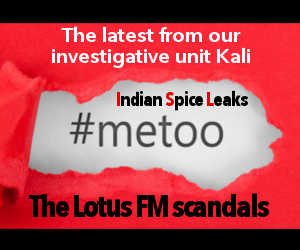 On Wednesday, M Murugan examined the remains of his electric blue fishing net, which had become a dark mess of oil-soaked thread. The nets were useless now, said the fisherman, casting them aside as he sat down on the edge of his grease-stained boat. 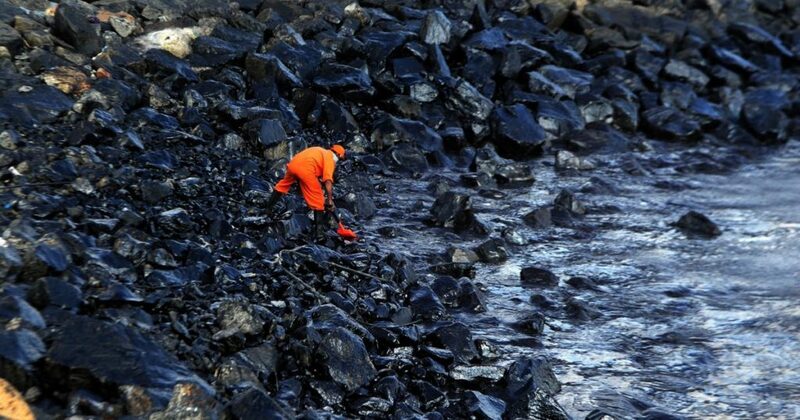 On early Saturday morning, two cargo ships collided outside Tamil Nadu’s Kamarajar Port in North Chennai, causing an oil spill that has now spread upto 35 km to the south along the coast. One ship, MT BW Maple, carried liquefied petroleum gas. The other, MT Dawn Kanchipuram, carried petroleum oil lubricants, up to 20 tonnes of which reportedly spilled into the sea. 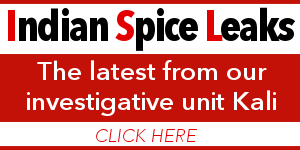 The port authorities had initially released a statement saying that “there was no damage to the environment like oil pollution”. But the black, viscous waves that have been lashing the shore for the past four days belie these claims. Oil gathered by the breakwater in Tiruvottriyur, Chennai. One such place considered among the worst-affected by the oil spill is Ramakrishna Nagar Kuppam Beach in Tiruvottriyur. 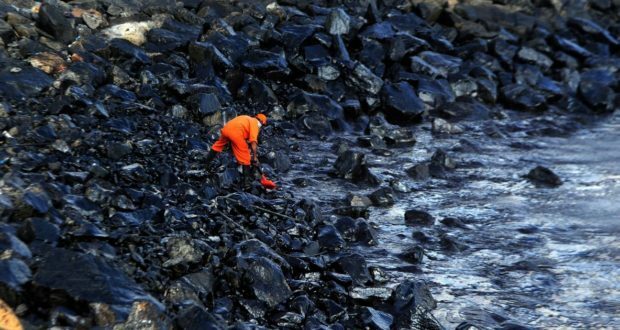 Officials of Kamarajar port had gathered at the rocky shore taking down notes of the damage caused by the oil in the area. By their side stood a row of large plastic drums containing a thick black greasy substance. 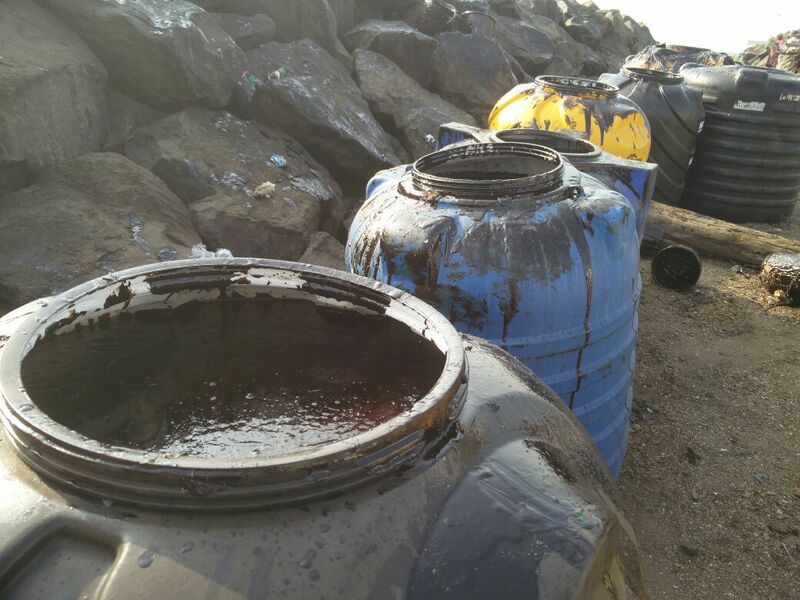 Along the slick-ridden rocks were some black buckets which had been used by port and corporation employees to collect the substance from the water. 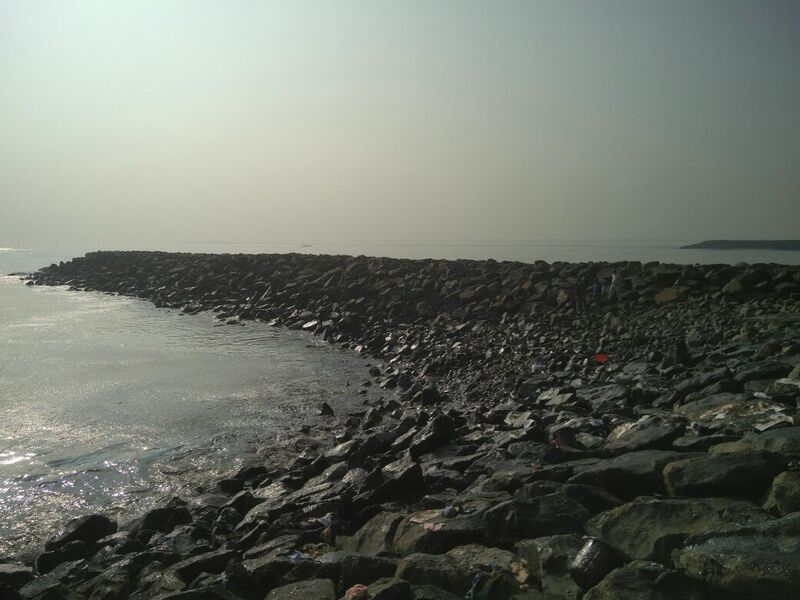 The entire coast of Thiruvottriyur in North Chennai was lined with breakwaters – long rocky projections installed to prevent coastal erosion. After the oil spill, as the wind carried the grease southwards, the northern side of each of these projections had collected the oil. 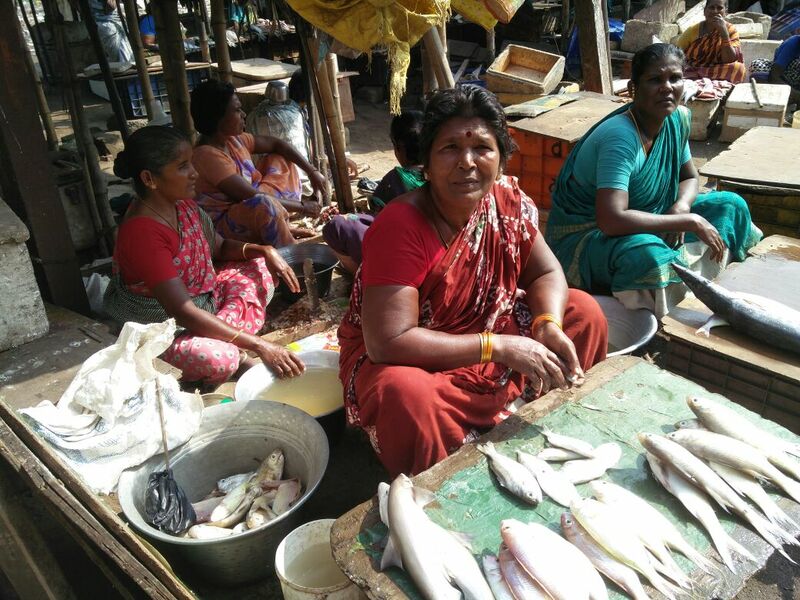 The fishermen of Ramakrishna Nagar and Palagai Thotti Kuppam have shifted all their boats to the southern side of the breakwaters to lessen the chances of their equipment gathering a coat of oil. Drums filled with oil collected from the sea. 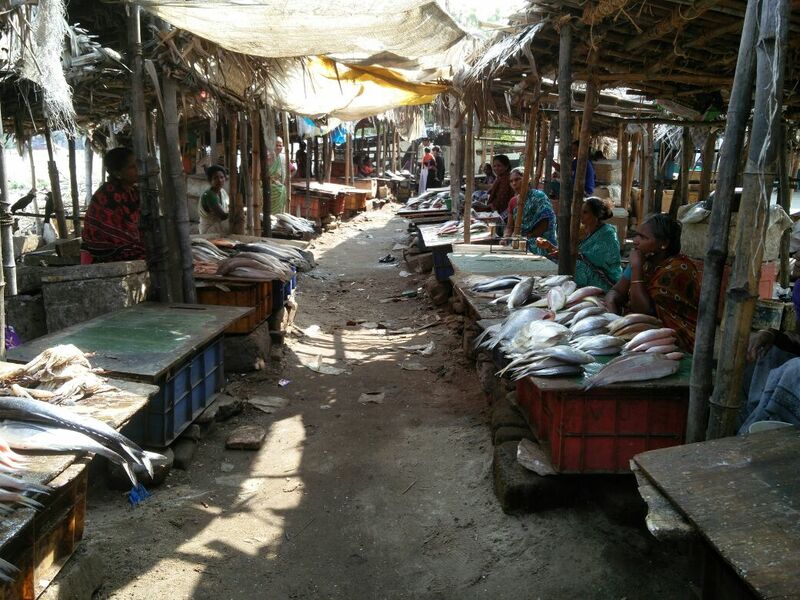 An empty fish market at Palagai Thotti Kuppam. Unsold fish at the fishmarket.